French Fridays with Dorie this week is Mardi's pick - Paris Brest. With its rather suggestive name (at least to the uninitiated), I dare not call it that at work, and it became "a choux pastry thingy filled with custard". I have wanted to make a Paris Brest for a while, so this was a welcome challenge. Making this little beauty went off without a hitch. I'd probably pipe the ring a bit thicker next time, but otherwise, there were no problems. 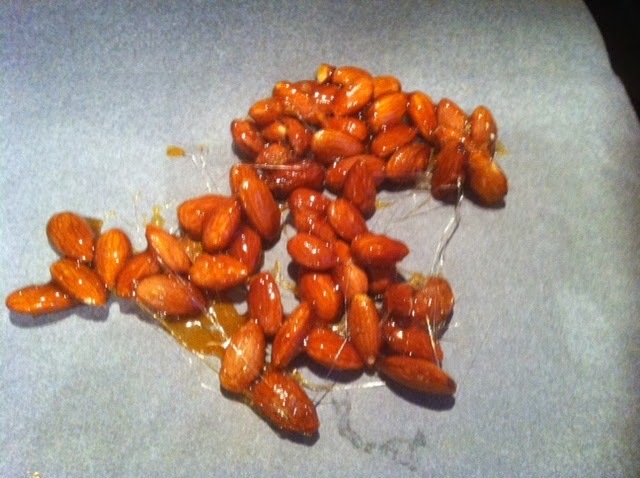 The custard did go a little claggy/lumpy looking when I added the ground caramelised almonds, but this is a minor quibble. Better yet, I got two "cook's treat" cream puffs (as suggested by Dorie) just for me - and I enjoyed them with relish. This week's Wednesday with Donna Hay recipe is meat pies, chosen by Margaret from p161 of Modern Classics. The recipe is also online here. I made a half recipe in fluted pie pans, using light puff pastry in a bid to lower the calorie count. Not bad, eh? I would make the filling again just by itself - it was rich and thick and delicious. you could add some veges to the mixture to beef it up a bit and make it like a stew. 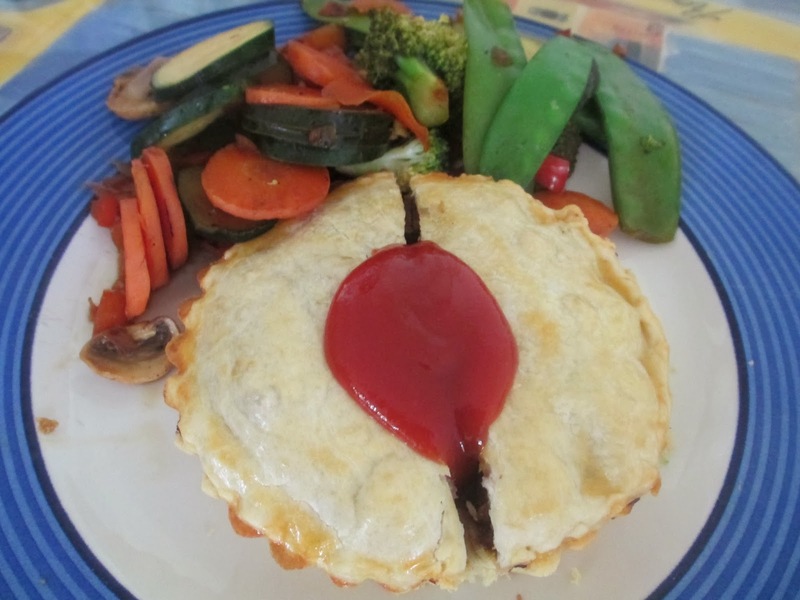 In true Aussie style, I served my pies with a squirt of tomato sauce. The stir fry veges are not traditional, but made it into dinner. 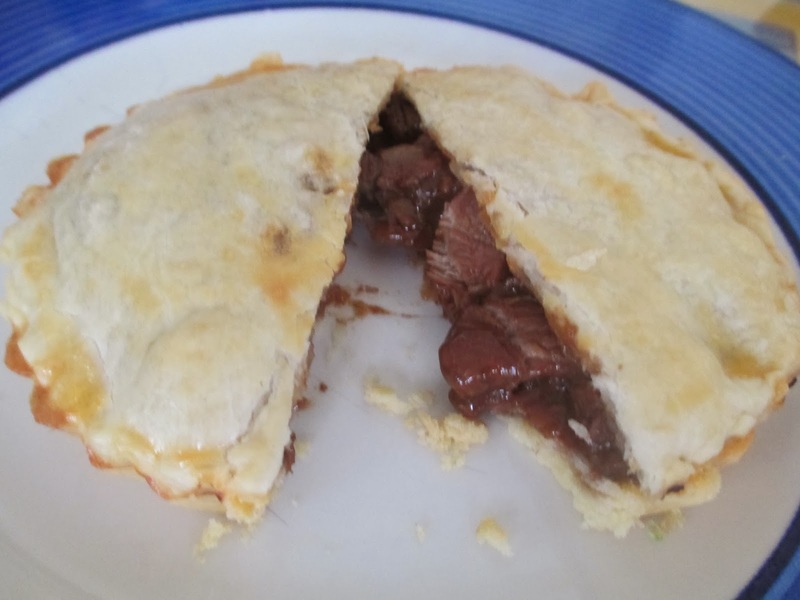 To see what Margaret, Chaya and Sarah thought of these pies, visit their websites. Happy Australia Day! 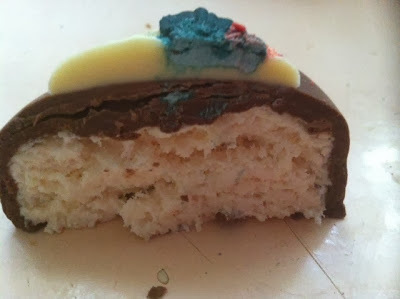 To celebrate today, I have made an Aussie classic - Vanilla Slices. The recipe that I used is from a classic Aussie bakery - the More Secrets of the Beechworth Bakery cookbook. Their vanilla slices are highly regarded - for a review, check out the Vanilla Slice Blog, or just search for them online. As the recipe has not been published elsewhere, I am not going to share it here either, given that this is one of the Beechworth Bakery's signature bakes. 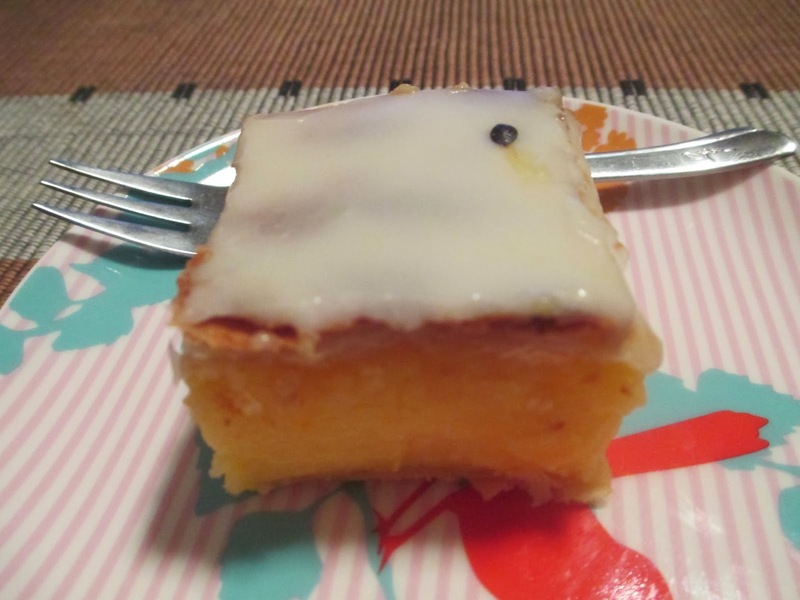 However, I will tell you that this vanilla slice is made using puff pastry top and bottom, with a custard made from cream and eggs and lots and lots of cornflour and custard powder to give it a nice yellow colour and a firm set. I chose to make the optional passionfruit icing rather than plain pink icing - who wouldn't? I realise that the Kiwis hate these invaders to their shores with a passion, but we appreciate them here. 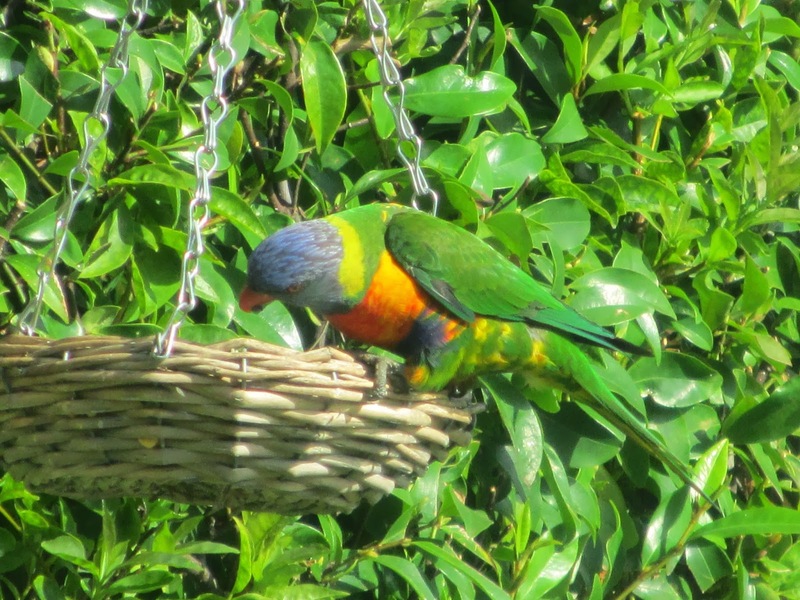 They are so pretty, although they are very bossy and very noisy. Wishing all Aussies, wherever they may be, a wonderful and relaxing Australia Day. 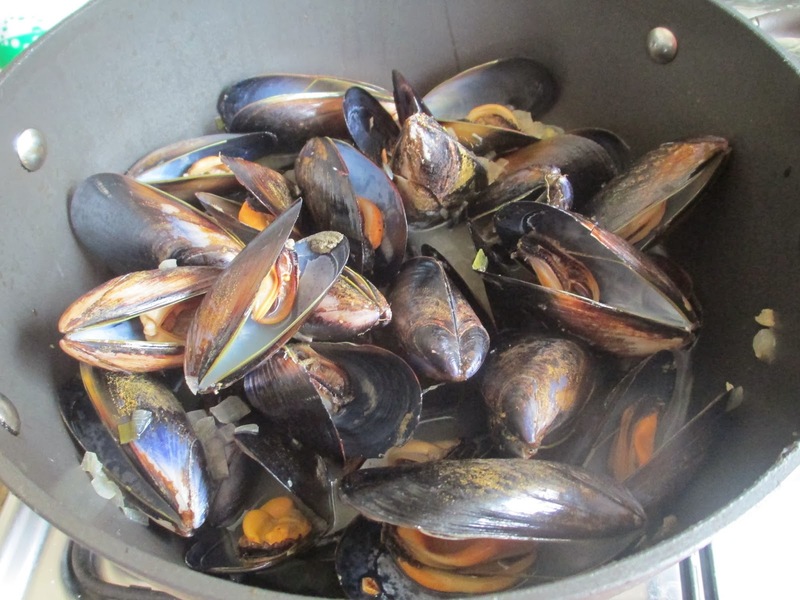 This week's French Fridays with Dorie recipe is a classic - Moules Mariniere (mussels in white wine broth). 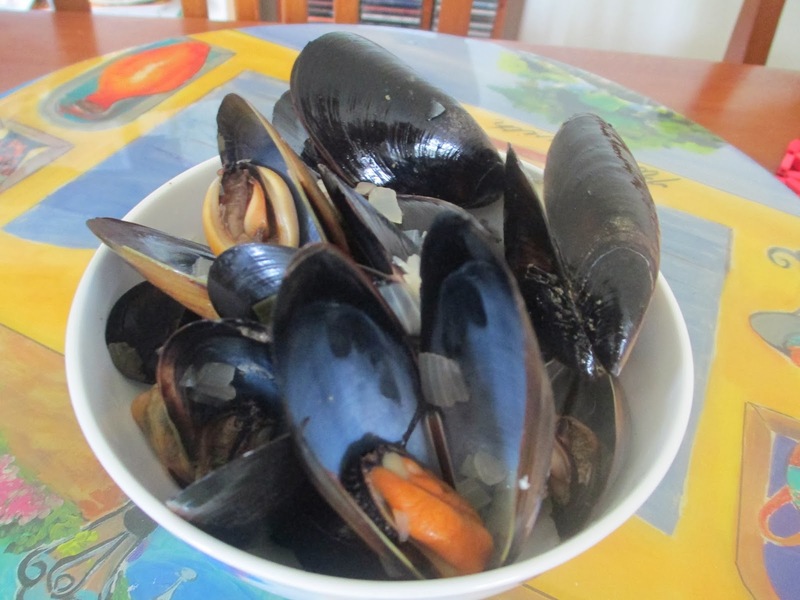 This is only the second time I have cooked mussels, but I learnt my lesson about the beards well, and this time, there were no nasty surprises in my mussels. I used Sauternes as the wine, as I had some in the fridge. There's not much else to say about this dish - just that it was good. This was pretty good too. To see what the other Doristas thought of this week's dish, visit the LYL section of the website. Today is National Pie Day in the US (not to be confused with Pi Day, on 14 March). To mark the occasion (as who doesn't want to celebrate pie), I made Oatmeal Pie from p178 of my new pie book, The Hoosier Mama Book of Pie by Paula Haney. Hoosier Mama is the name of a pie bakery in Chicago, and it is one the coolest names for a bakery that I have heard of. There are heaps of terrific sounding pies in this book, although not many pictures. of the finished products I chose Oatmeal Pie on the criteria of (a) easy; (b) quick to make; and (c) I had all the ingredients in the house. This is what I need when I bake during the week after work. I liked their all butter crust recipe, which used red wine vinegar - I have never seen this done before. I will confess to having used white wine vinegar as I was out of red wine vinegar, and it didn't seem to have any ill effect on the dough. I also did not freeze any of the butter, as suggested in the recipe. This pie crust was easy to work with, which is a bonus in my books. The filling is, as the author says, like pecan pie with oats instead of pecans. I ran out of maple syrup so used half and half maple syrup and honey. Again, the results did not seem to be affected by this. Served warm, this pie is incredibly sweet. I am looking forward to trying it cooled down to see if there is a marked difference in flavour and texture. Stir the vinegar into the water and set aside. In a food processor, whiz together the flour, salt and sugar. Add the butter and pulse until the mixture turns sandy. Add half the water mixture and pulse - if the mixture starts to clump together, it's ready, otherwise keep gradually adding the water mixture until the dough just clumps together. Turn the dough out onto a floured bench and knead gently until it just comes together, then flatten it into a disc and wrap in cling film for half an hour. Preheat your oven to 200 degrees Celsius. Remove the pie dough from the fridge and roll it out until it is around 5mm thick and it is big enough to cover the base and sides of a 9" inch buttered pie dish. Blind bake the pie shell and allow to cool slightly. Beat the butter and sugar in a stand mixer until light and fluffy. Beat in the cinnamon, cloves and salt, followed by the maple syrup. Beat in the eggs, one at a time, then stir through the oats with a spoon. Pour the filling into the blind baked pie shell, and bake in your preheated oven for 45 minutes to an hour, until the filling is completely set. Serve with a splodge of your favourite icecream, or enjoy as is. This week's Wednesday with Donna Hay is Baked Salmon with Radish and Cucumber Salad. 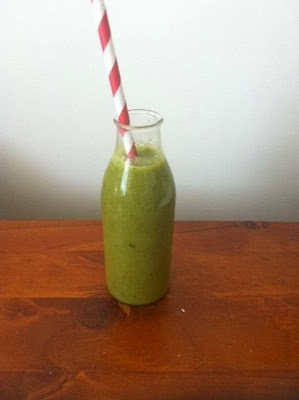 The recipe is available online here. Take note that the recipe is huge - it is to serve 12 people, so unless you are feeding a crowd, you'll need to cut it down. This recipe comprises salmon baked in puff pastry, with a radish and cucumber salad. I forgot to halve my 200g pieces of salmon before I baked them, so I had to cut them down afterwards, leaving an edge not encased in pastry. Nutritionally, I regard this as a bonus. I also tried to make this a little less fatty by using "light" puff pastry. The salmon took around half an hour to puff up, not 10-15 minutes, hence my salmon is probably more cooked than was intended, but it was still moist, protected by its pastry blanket. For the salad, baby beetroot leaves were nowhere to be found, not even n the baby beetroots, so I just used a pre-made spinach, beetroot and carrot salad mix with Donna's dressing. It was easier to cut the radishes and cucumber with a mandolin than a knife to achieve even, thin slices. I actually really enjoyed this salad, despite not having high hopes for it. I liked this dish, but because I am not a fan of things cooked in pastry (because of the unneeded additional calories), I probably won't make it again. To see what Margaret, Chaya and Sarah thought of this salad, visit their websites. Today I went to see Saving Mr Banks. It is the mostly true story (fictionalised somewhat), set in 1961, of Walt Disney persuading P.L. Travers to allow Disney to make the Mary Poppins movie. I enjoyed it thoroughly for all sorts of reasons, including the insight into the early life of P.L. Travers, how the Mary Poppins stories came about, and why the movie is titled as it is. I got a buzz of excitement near the start of the movie to see the names of many places that I have been to in Queensland appearing on a train timetable, including the name of my home town. It's not often that you'd see that in a Hollywood movie! I also loved watching the very fine acting by both the well known actors and Annie Rose Buckley, who played P.L. Travers as a girl. We learn some curious tidbits throughout the film, including that P.L. Travers had an aversion to pears and the colour red. It is interesting how P.L. Travers, like another famous Queenslander born the same year, Florence Broadhurst, reinvented herself and her past so that those not in the know would never suspect her real origins. Like Florence, P.L. Travers appears not to have been the most genial of personalities, and even the very powerful Walt Disney had a difficult time persuading Mrs Travers, as she preferred to be known, to give him the film rights to Mary Poppins. I didn't remove the crusts from the bread, although the recipe calls for it. I thought the crusts added some texture and crunch. The custard is light and binds the bread together well enough that I could cut the pudding into squares for transport afterwards. Preheat your oven to 160 degrees Celsius (I used 180 degrees). Spread 5 slices of bread with butter and 5 slices with marmalade, and create sandwiches with one slice each of buttered bread and jammy bread. cut the sandwiches into three, then layer them in a 4 cup oven proof dish. Put the milk, eggs, vanilla and sugar into a bowl and whisk to combine. Pour this mixture over the bread and let it stand for 3 minutes. Sprinkle extra sugar on top of the pudding. Put the pudding into a baking tray, and fill the tray with hot water until it comes half way up the sides of the pudding dish. Place the pudding in the baking tray into the preheated oven and bake for one hour and five minutes. Remove the baked pudding from the oven, remove it from the baking tray, and allow it to cool for 5 minutes before serving warm - alone or with cream or icecream. I chilled it and cut it into slices for sharing. This week's French Fridays with Dorie recipe is Christine's Simple Party Soups. These comprise three beef-bouillon based soups, flavoured with asparagus, broccoli and capsicum respectively. I didn't want to be drowning in soups, so I chose just one, the asparagus soup, and made a quarter recipe (single serve). Some Doristas found their soups to be quite thin, but mine was thick, possibly because I guesstimated one quarter of the asparagus required for a full recipe. I prefer thicker soups, so I was happy. For the photo only, I poured the soup into a mini milk bottle with a paper straw, but the soup was too thick to drink from the straw. To see what the other Doristas thought of these soups and to catch a glimpse of the other flavours, check out the LYL section of the website. For Wednesdays with Donna Hay this week, Sarah chose Lamb Shanks with Tomato and Rosemary from Modern Classics book I. I didn't have any rosemary, so I substituted thyme. I love lamb shanks, but for some reason, they are very exxy here. 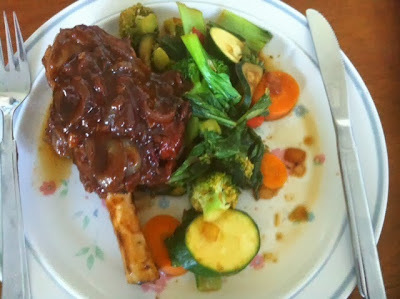 Two lamb shanks from Lens in Malvern Central weighing around 500g cost roughly $14. Ouch!! I know that I could probably get them a bit cheaper at the market, but it was Sunday afternoon so too late for that, and Woolworths did not have any, nor did they answer my two rings of the butchery bell at their South Yarra store. Luckily, I found that one shank was plenty for a meal for me, so I will get two meals out of it. Donna recommended eight shanks with 2 shanks per person - I would have been rolling in the aisle. I loved the thick, rich wine-based gravy that these shanks were cooked in. 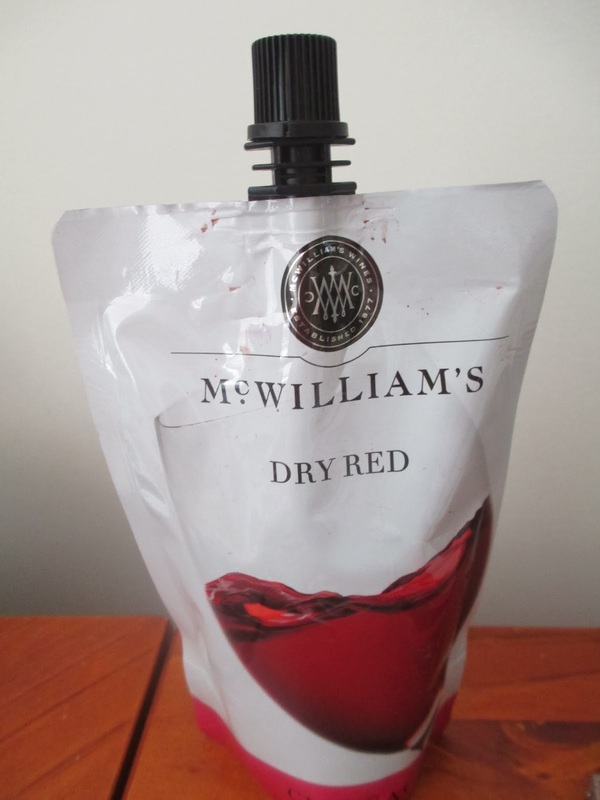 Even better, because I only had two shanks, I had enough left in my mini bottle of wine so that I could have a glass of red wine with dinner - bonus! My wine was Cat Amongst the Pigeons Shiraz. Instead of mash, I served my shank with stir fried vegetables. Kayte is on a break at the moment, but you can see what Sarah, Margaret and Chaya thought on their websites. 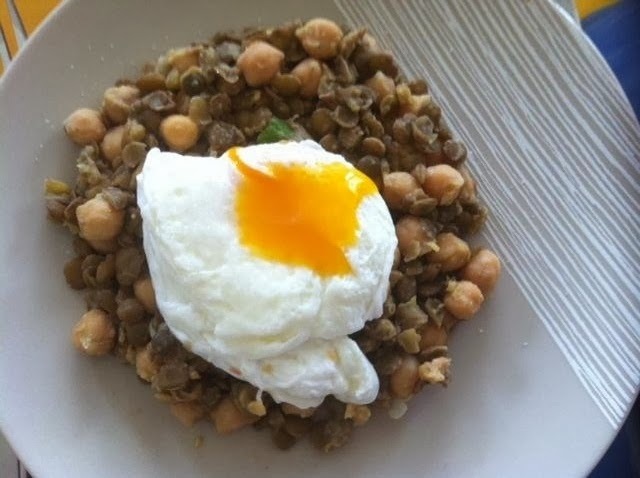 I am always eager to try out healthy new recipes, so I immediately printed out Luke Mangan's Asparagus and Lentil Salad with Poached Eggs when I saw it in The Age. The key components of the salad are, as the title suggests, lentils and asparagus, and the sole dressing is mustard. The mustard and the gooey yolk from the poached egg combine to make a really delicious combination. I would make this again, but I would cut down on the salad; also, because I used less asparagus than called for in the recipe, it kind of got drowned in the lentils, so I recommend using the full amount. I ate this warm for lunch one day and breakfast another day, and enjoyed it both times, even after re-heating the salad. It was my friend Racquel's birthday on Wednesday last week, and on Saturday, as I was seeing her in person, I made her some birthday cupcakes. I have no idea what Racquel's favourite flavour is, so I just used the trusty Primose Bakery vanilla cupcakes with vanilla buttercream frosting, and tossed a cup (or thereabouts) of frozen raspberries into the cake batter to make raspberry cupcakes. 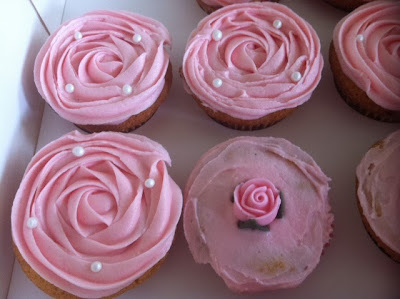 I also faintly flavoured the icing with rosewater. The little white pearls are by Queen. 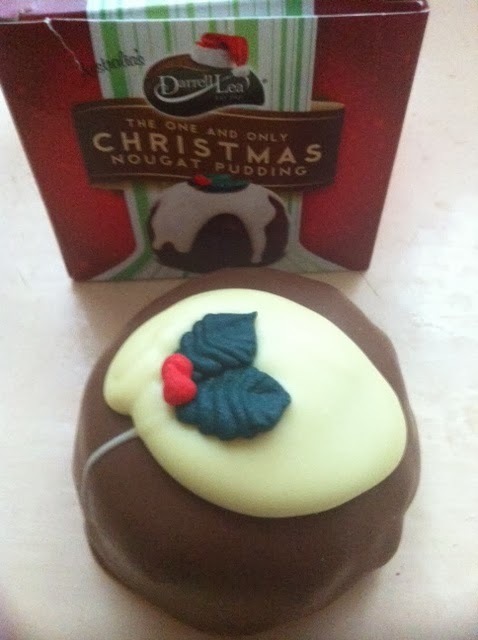 Unfortunately the cakes didn't look as pristine as this when they arrived, as I tripped on the tram and the box tipped - well, you know what happened. The icing got a little smooshed, and while in the end they weren't too bad (especially as I had no means to touch up the icing), they didn't look as lovely as they do in these photos. 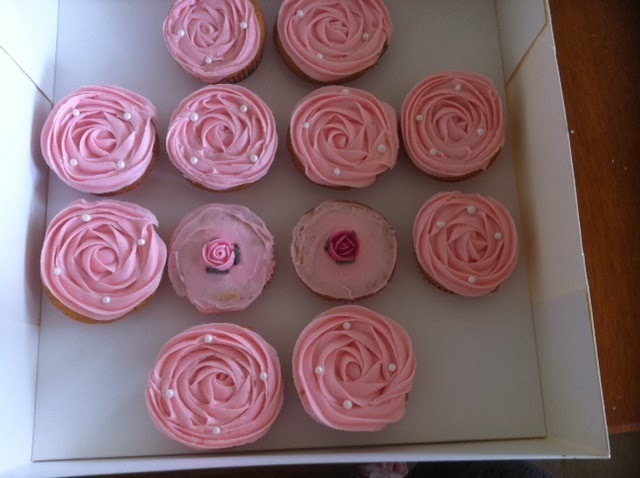 I do love making cupcakes, as they are always a crowd pleaser. What is your favourite cupcake flavour? My new toy from Santa is a Kindle, and I am in love. I have been having a great time downloading the daily deals and reading books that I would not otherwise have read. At present, I am reading The Marrying of Chani Kaufman by Eve Harris, about the marriage of two young Haredi Jews in London and the effect their match has on their nearest and dearest. I am really enjoying it, as it is about the stuff of life for all of us, whether Haredi Jews or not. One reviewer likened it to Pride and Prejudice, with Mrs Levy taking the place of Lady Catherine de Burgh and Chani filling in for Elizabeth - and I so agree!! I won't spoil it for you, but this book is good for a laugh and will also have your squirming with the awkwardness that the characters face, especially the young couple, Baruch and Chani. It disappeared quite quickly at work, so I am gathering it was a winner. So there you go - if life gives you oranges, make orange cake! This week's French Friday with Dorie is practically healthy! It is baked apples filled with fruit and nuts. I used a red delicious apple filled with cranberries, apricots and raisins, with a touch of nut "muesli" (walnuts and pecans). I forgot to baste the apple with the cider while it was in the oven, but oh well! It still tasted just fine. To see what the other Doristas thought, check out the LYL section of the FFwD website. 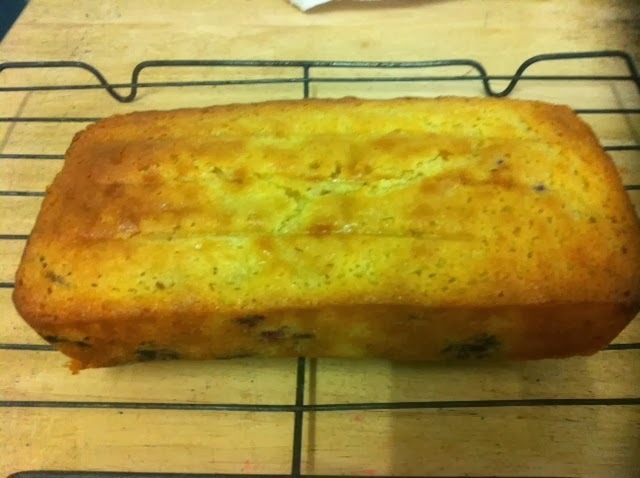 For this week's Wednesday with Donna Hay, Chaya has chosen Donna's Blueberry Yoghurt Loaf. You can find the recipe online here. 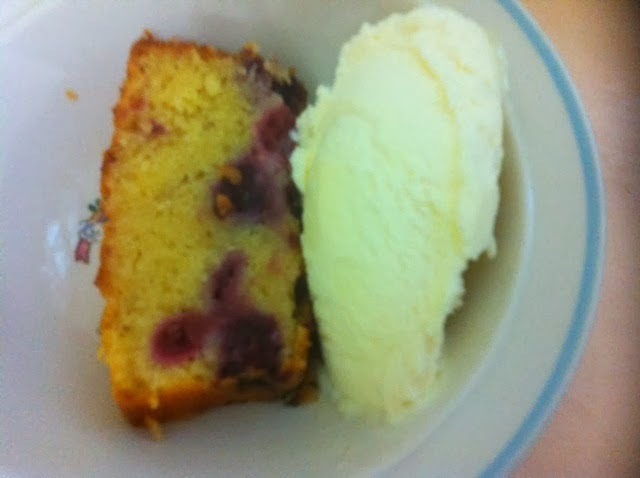 I can't rightfully call mine Blueberry Yoghurt Loaf because I used mixed berries, so I redubbed it Berry Yoghurt Loaf. This cake is absolutely delicious - it is moist and light and not too sweet. Even my mother, who is not a cake lover, enjoyed this. 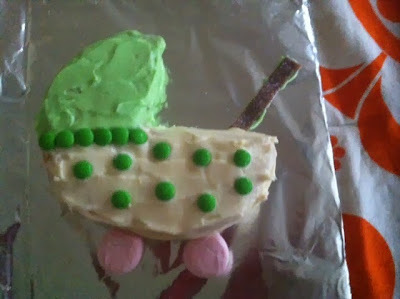 Check out the thoughts of the other WWDH team members, Chaya, Kayte, Margaret and Sarah, on this cake at their blogs. 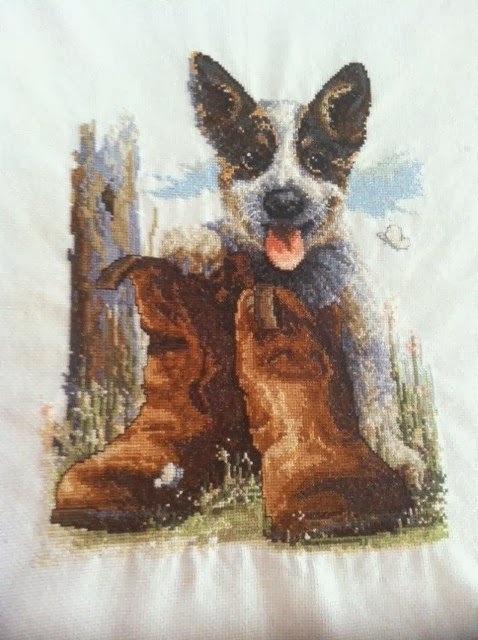 This work is entitled Bluey's Boots, and it took me eight years (working on and off during vacation) to complete. It was a birthday present to Mum in 2005, but she didn't like doing it, so I volunteered to do it for her, not realising what an epic project it would turn out to be. I am especially proud of both the finished product and of actually finishing it! I framed it for my mother's wall. The slight puckering of the fabric disappears once you stretch the fabric across a mounting board and secure it in place. Sandra recently had her last day at work before the birth of her first bub. To send her off in style, I made her a pram cake. It is loosely based on an idea which I found here. I scaled the cake down for a 6" tin, using marshmallows for wheels and mini M & Ms for the decoration. The pram handle is a strip of cola flavoured sour candy. 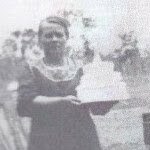 The cake was just a plain butter cake from the Australian Women's Weekly, and the buttercream was a quarter recipe from the Crabapple Bakery Cookbook. I think this cake is so cute, and I chose it because the idea is simple but very effective. And when you are time poor like me at this time of year, that is exactly what you need! I have been spending the holidays with my family interstate. It's been a lovely, peaceful time, away from the whirl of everyday life. We have enjoyed some marvellous desserts over the holidays, some home-made, others store-bought. They are too good not to share, so I am posting a selection of them here. At the top of this post are some lovely berry crepes made by my mother on Christmas morning from this recipe (minus the lemon and sugar). They were an absolute treat to start our celebrations with. It was so light and fluffy, it tasted like lime marshmallow. It tasted like red velvet brownies with cranberries - delish!! I've had better, but this one was a generous serve and hit the spot. Hope you have been enjoying your holidays. It's back to work for me on Monday. 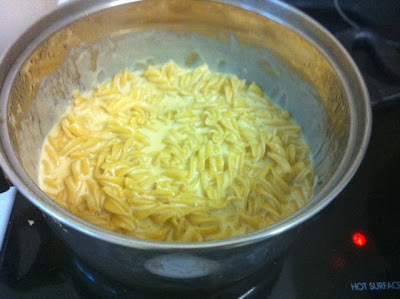 The very first French Friday with Dorie for this year has set us the task of making Pasta Risotto. Why, may you ask, is it called Pasta Risotto? Well, it involves pasta being cooked in chicken broth until it absorbs nearly all the broth, just like a risotto, then mixed with cream and parmesan cheese. The end result is a creamy, rich side dish or main course, depending on which way you look at it. As Dorie suggested, I served this as a side dish with roast - roast pork for New Years Day. This was a fitting way to start the FFwD year. This week's Wednesday with Donna Hay recipe, and the first for 2014, is the Greek-inspired Spinach and Feta Pie from Modern Classics I, chosen by Margaret. You can find an ingredient list here. This was easy to make and quite yummy, although very filling. 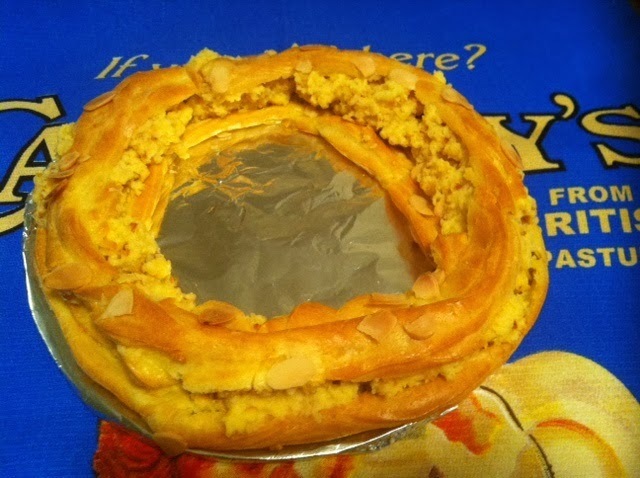 I thought it was a bad idea to let the phyllo pastry overhang the pie dish as it breaks off when you touch it and messes up the oven, the floor, the benches etc. I only made a half serve. This was a seriously delicious meal, and I would make it again. To see what Margaret, Chaya, Sarah and Kayte thought, visit their websites.